NEW DIRECTION SEEMS TO BRING RESULTS! 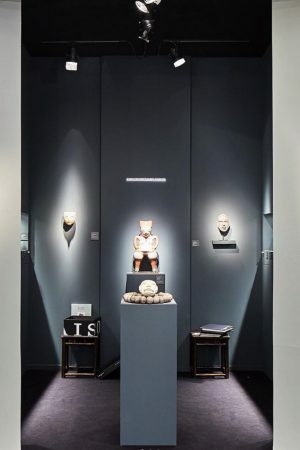 Last week, MECC Maastricht opened its doors again for the worlds most leading art fair: TEFAF. and younger visitors, mainly from abroad. These significant changes certainly had its effect on the press! TEFAF has always had an international focus, but this year they wanted to take this to the next level. Diana Cawdell, head of communication, indicated that they were able to welcome around 70% of foreign visitors this week. That result therefore seems to match the objective, but what about the level of art and sales? The answer is: good! Because if I follow the articles that have already been published, I can conclude that the combination of more newcomers and more modern art indeed has its positive effects. 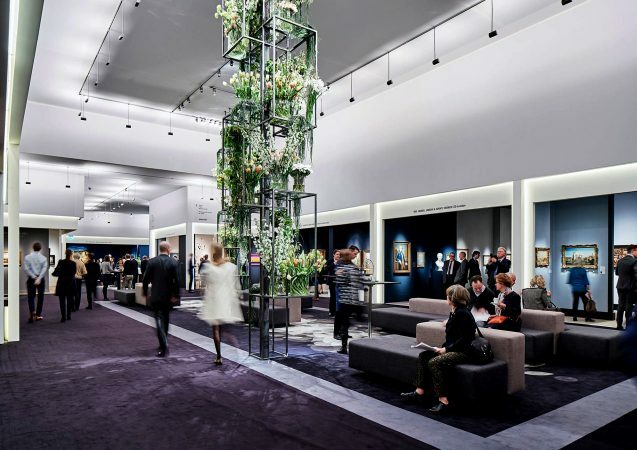 TEFAF attracted up to 40 new exhibitors, which provided a good dose of new energy. One of the highlights was the solo exhibition of the conceptual German artist Rosemarie Trockel. She presented a unique stand concept, in which the floor and the walls were colored in a sandstone tint. Trockel always works with a wide variety of materials, including bronze, paint, wool and all kinds of found objects. 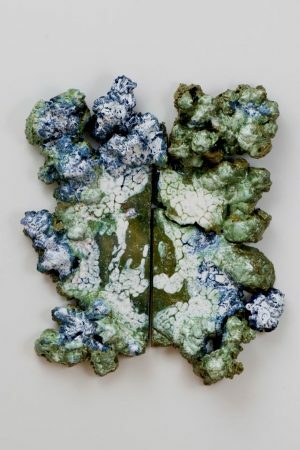 For TEFAF she concentrated on ceramic works, such as Marry Mood, a glazed ceramic piece of one meter high. 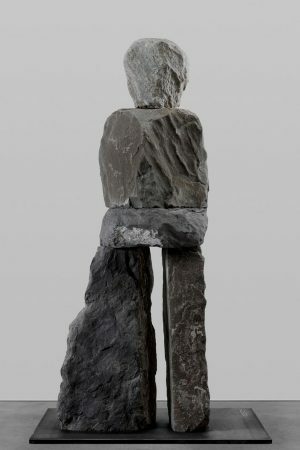 The life-sized contemporary modern artwork ‘Faithful’ by Ugo Rondinone, a New Yorker born in Switzerland, also attracted attention. This stone steel eye catcher is no less than 2 meters high and therefor incredibly impressive. Although Faithful looks a bit gloomy, Rondinone is also able to make very colorful work. In 2016, for example, he exhibited ‘Vocabulary of Solitude’ at the Dutch Museum Boijmans Van Beuningen, where visitors were introduced to clownish figures that had never been shown before. What also stood out at this TEFAF edition were the so-called Showcase Galleries. 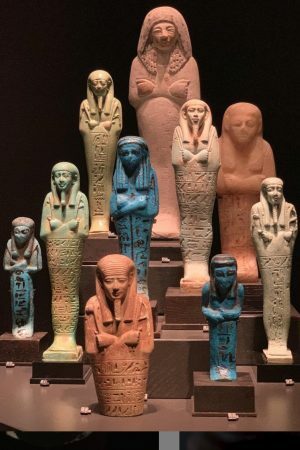 These recently established galleries were given the opportunity to gain experience at such a large international art event through a kind of guest participation from TEFAF. TEFAF’s choice for more new- and modern works seems an excellent move. I wonder if they will maintain this course next year. TEFAF can be visited up until 24th March.